When it comes to MIVA e-commerce, we’ve been around almost as long as anyone. Try 1999. That’s right…we’ve done this for so long that we started LAST CENTURY. MIVA sites have made up the majority of our business from that time on. At last count, we’d launched over 50 MIVA sites, and contributed to almost 50 others. And that doesn’t include the stores that use the modules we’ve developed. NetBlazon is a widely recognized and respected name in MIVA circles. We’re experienced in every aspect of working with MIVA (formerly Miva Merchant). 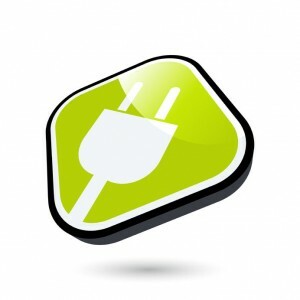 This includes design, development, SEO, performance optimization, module development, and automation. We are a MIVA certified developer. The right design communicates the values of your business, while attracting the right shoppers. It makes it easy for customers to research and buy your products. A great MIVA site starts with excellent design. Our designers are equally comfortable with traditional ecommerce design and cutting edge interfaces. We build sites that appeal to your shopper and are easy to use. We love MIVA. Here’s why. Almost any website design can be implemented in MIVA. Its templates are built using a robust pseudo-language called Store Morph Technology. That’s a fancy way of saying you can combine text and HTML with special commands that do certain things – like conditions and loops. Additionally, the entire page, from beginning to end, can be controlled with templates. Everything can be changed to meet the needs of your shoppers. So what’s a responsive design? It’s one that is optimized to work beautifully on any device: desktop, laptop, tablet, or smart phone. The design changes to meet the different needs of different devices. 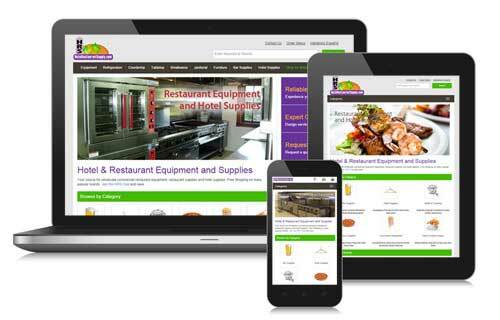 It’s all the rage in web development today, and all of our designs are responsive. Bottom line: we design great ecommerce sites using MIVA. 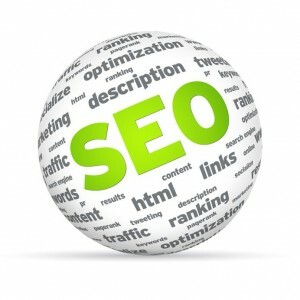 SEO is a challenge for all websites. But MIVA SEO is a world unto itself. The same general principles apply to MIVA websites: great content, ease of navigation, and user engagement. But a data-driven and product-based website has its own unique challenges. To build a search-engine friendly website takes a firm that understands SEO principles as well as the MIVA software. Because we’re experts with the entire MIVA environment, we can optimize your website to perform well in Google and other search engines. MIVA is an extremely fast platform. But like any software, the more you customize it, the more likely it is that you’ll run into performance problems. There are many things that can slow down a MIVA-enabled website, from unoptimized images to third-party scripts, bulky template coding to certain third-party modules. If your MIVA site seems to be running slowly, we can help. We utilize a variety of tools to test MIVA sites and pinpoint problem areas. This includes the back-end performance (how long it takes MIVA to deliver content to the browser) and front-end performance (how long it takes the browser to display the content). Then we provide concrete ways to make your MIVA website faster. And we help you understand what you need to do to keep it fast. Communicating with third-party servers. 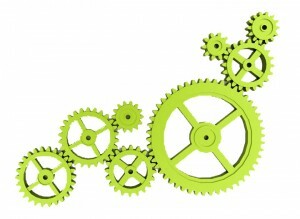 This allows for integrations with other software, such as mailing lists, customer reviews, or product recommendations. For a long time, MIVA modules were the core of our business. But as the shopping cart matured, the need for many modules was reduced. However, there are still many cases where retailers need a bit of functionality that’s unique to their store. Functionality that can’t be found in the base product the apps marketplace. If that’s the case, we can build it for you. If you’re interested in a new ecommerce website, or already have a Miva-based site and need any of our services, please get in touch. We can also help you replatform if you’re looking to move away from your existing shopping cart package.